Question on RTVs an express issues for vendor returns. 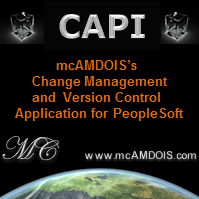 our company is new to peoplesoft. We are trying to setup RTVs. We have our Reason codes in the system. When we go into Inventory>Fullfill stock orders>Express Issue for a request of vendor type return, we arent sure of what to enter on the next page.Is the Distribution type required for this type of request? When we click on our drop down it is blank. I am wondering if we missed setting something up. You can pull the item information form a PO or Receipt if available otherwise you can enter item information manually.